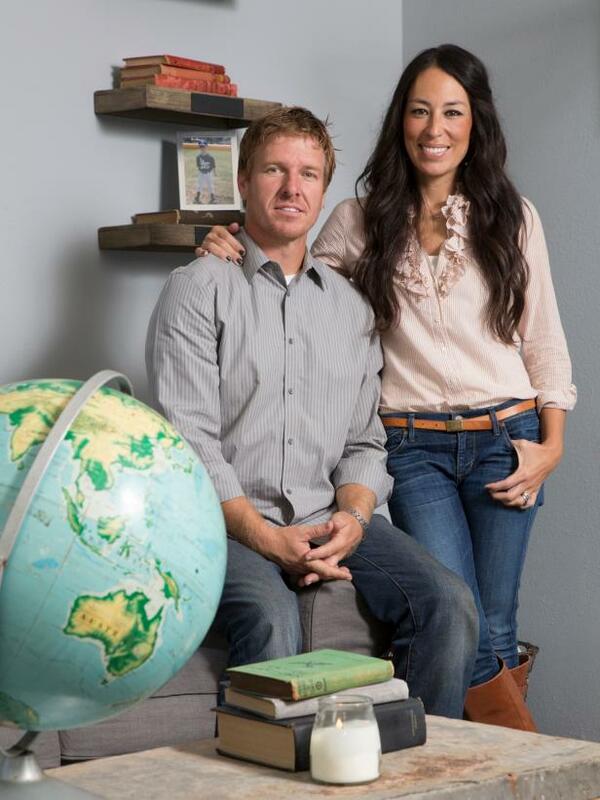 After a life changing divorce, a newly single mother gets the home of her dreams thanks to home improvement and design experts Chip and Joanna Gaines, hosts of HGTV's home renovation series Fixer Upper. 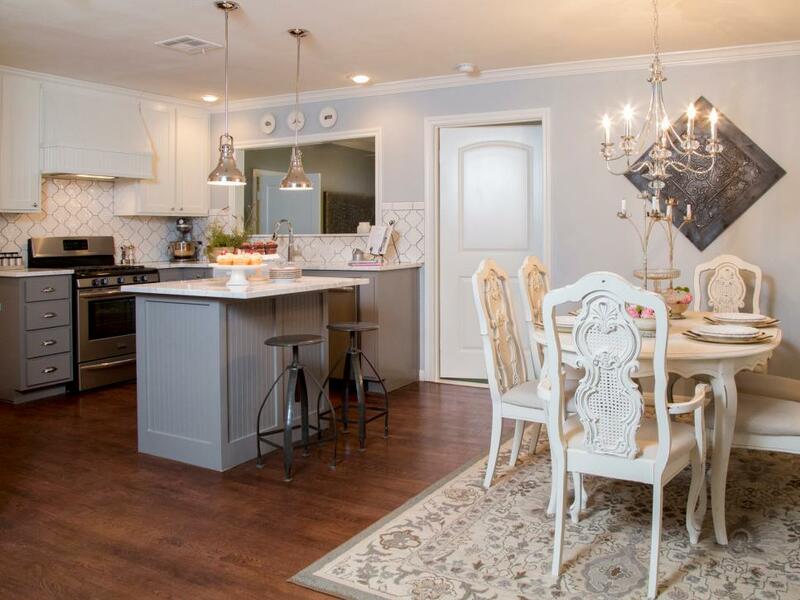 Fixer Upper host Joanna Gaines staged the newly painted living room with bright and feminine yet rustic furniture and accessories, making the room feel cozy with shabby chic style. 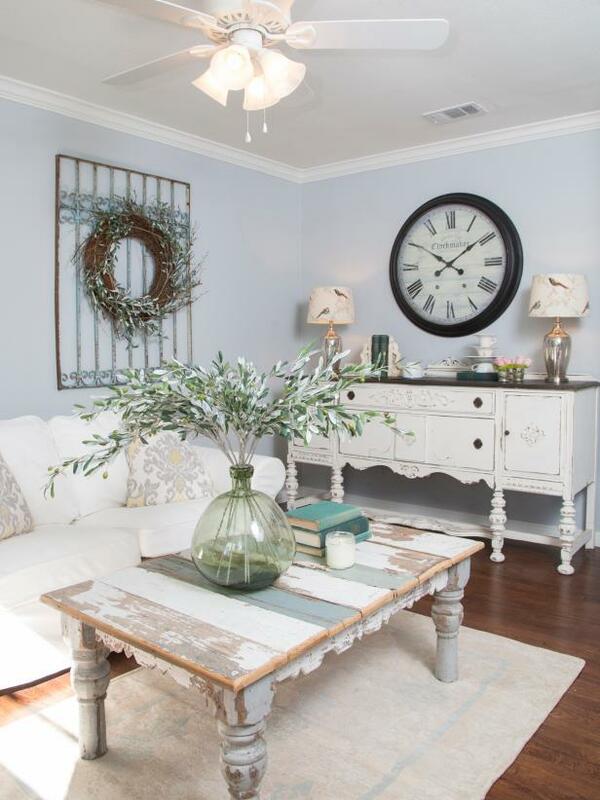 A wreath mounted on a piece of decorative iron fencing becomes a focal point in the room. 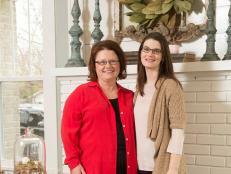 Meet Karla Griffis and her son, Preston. 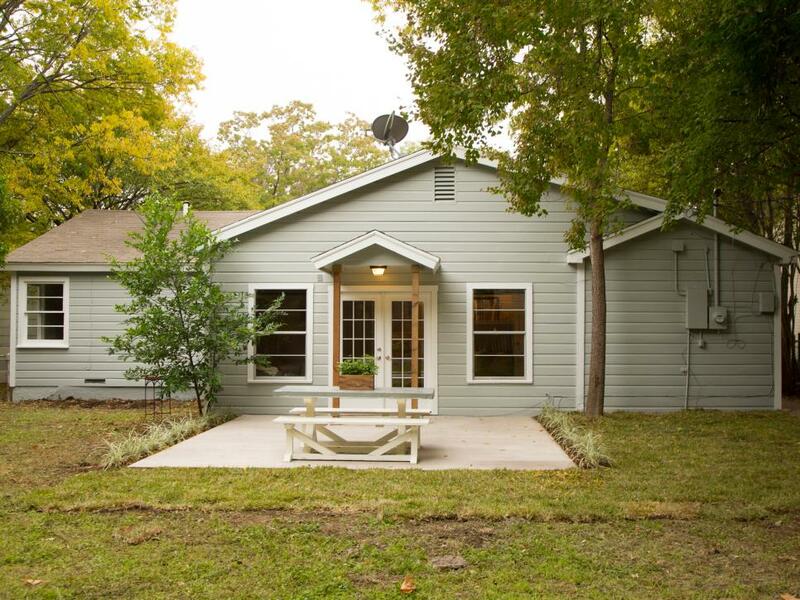 Needing a new house to start her new life, Karla Griffis sought the help of Fixer Upper hosts Chip and Joanna Gaines to turn an unloved home into a cozy cottage that would reflect her and her son Preston's newfound spirit. 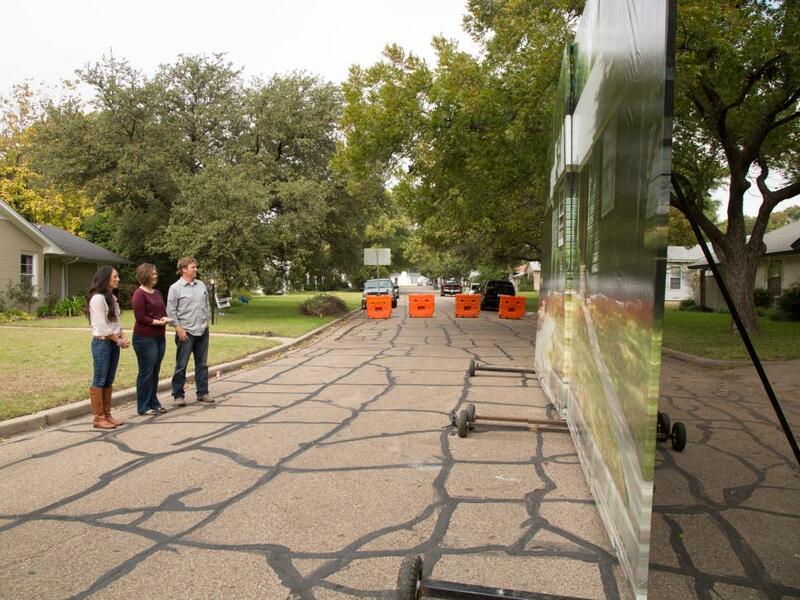 For this project in particular, Chip and Joanna Gaines, hosts of HGTV's Fixer Upper, knew they had an opportunity to change someone's life for the better. 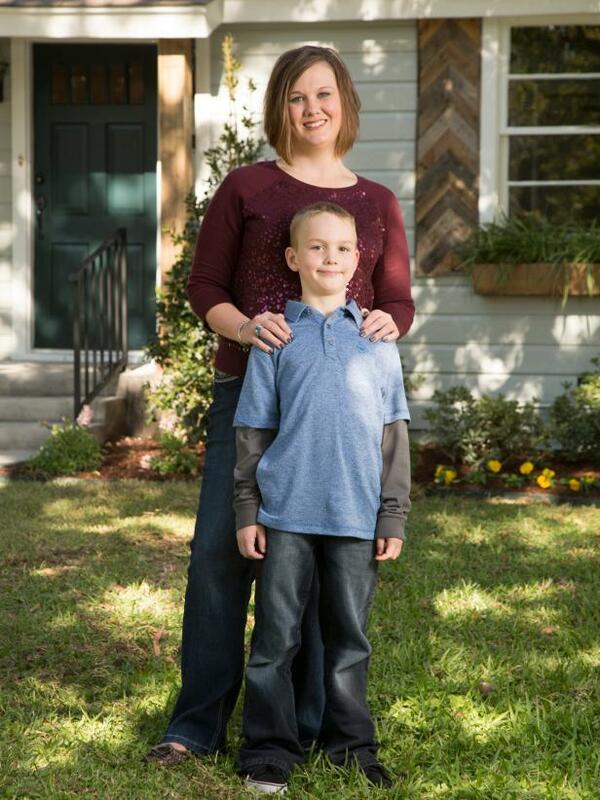 A new home would not only put homeowner Karla in an area near loved ones but would also allow her and her son the opportunity to grow together and create new memories. 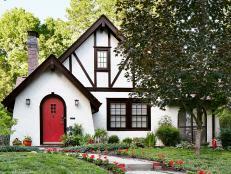 There were some initial concerns over the foundation and landscaping, but the asking price for this home left room for renovations. Moreover, Karla's best friend Missy lived right next door. The home and its neighborhood reminded host Chip Gaines of a provincial Maine beach community, complete with fresh lobster. 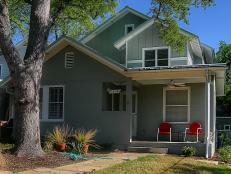 Prior to the renovation the house was dark and lonely, but with its unique charm highlighted, the home is now vibrant and full of life, just like the owner Karla. Karla was nervous and excited as hosts Chip and Joanna prepared to pull back a large photographic banner showing the home in its original state. 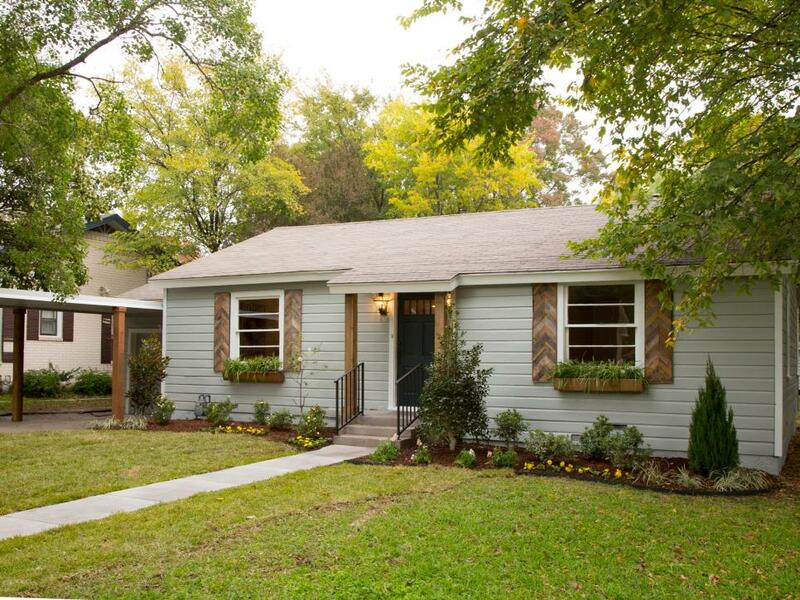 This dramatic before-and-after reveal, a Fixer Upper trademark, highlights for the homeowner just how far the house has come over the full course of the renovation. After. The front door of the home is now a statement-making entrance. 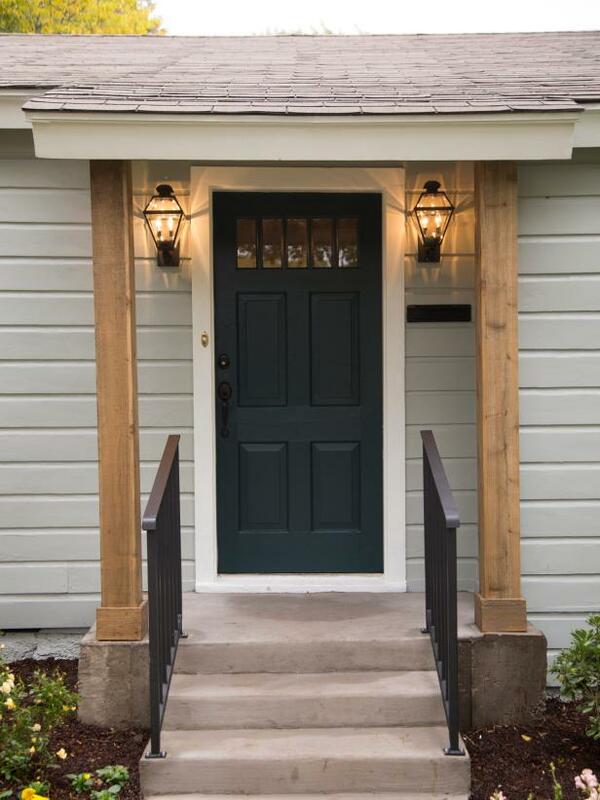 After removing the outdated wood work, Chip installed natural wood beams and painted the door in a dark tone with white trim to create a clean, welcoming contrast. After. 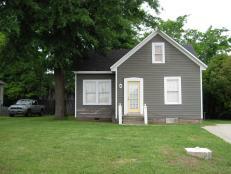 With all new landscaping and a bright paint job, the exterior of the home is no longer sad or dark. 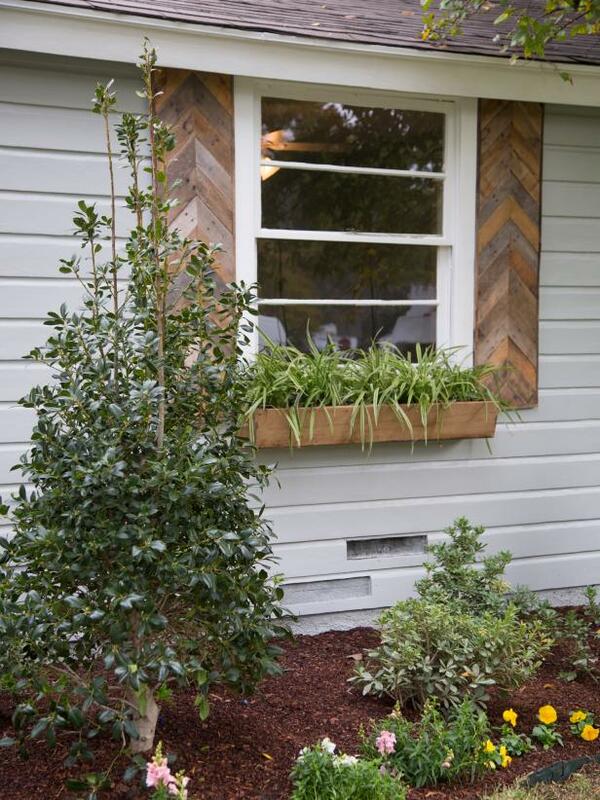 Custom herringbone-pattern wood shutters give the home a well-loved look and match the beams surrounding the front door. 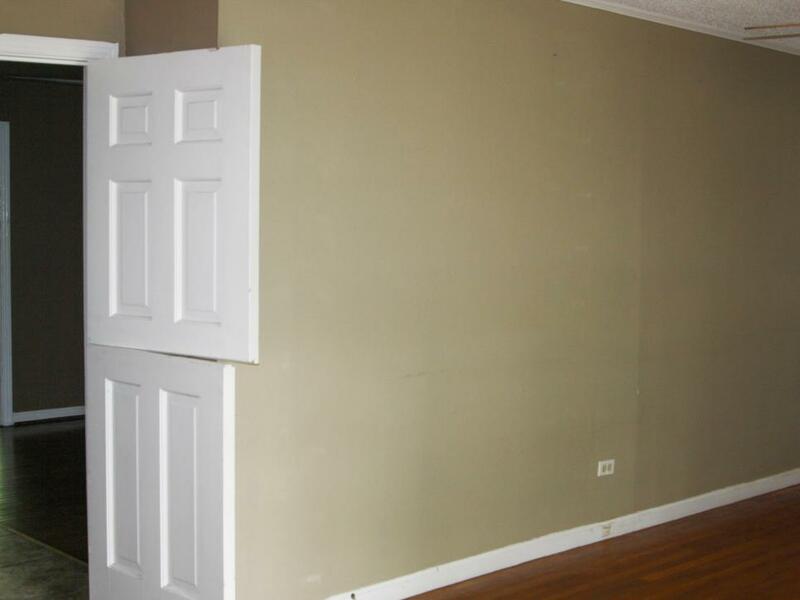 A large wall originally separated the living room from the kitchen and dining area. Not only did the wall make the space feel smaller, it also kept important sunlight out of the room. The new living space is now grand and inviting. By knocking down the wall that separated the living room from and kitchen and dining room, natural light is able to flood the space and enlarge the entire area. 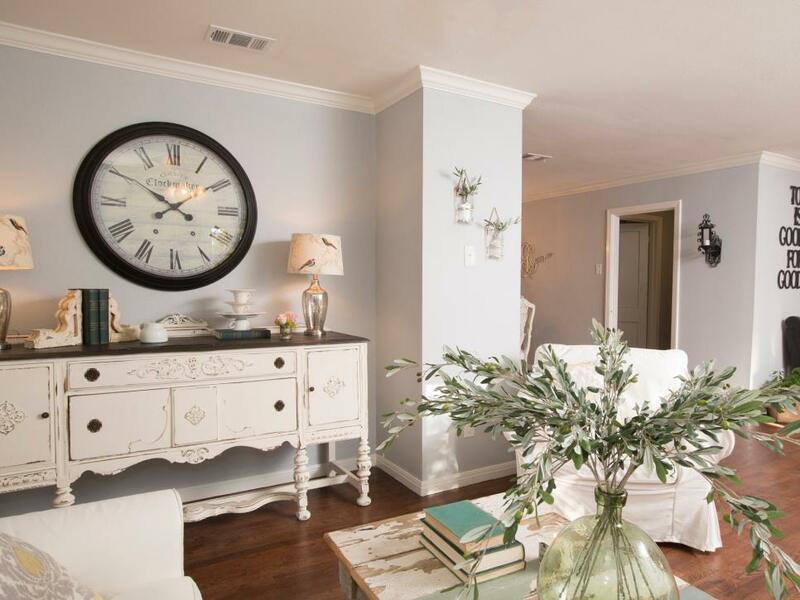 Joanna staged the newly painted living room with feminine yet rustic furniture and accessories, giving the room a lived-in French country style. 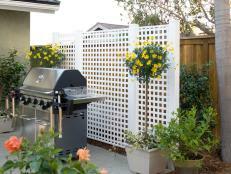 A wreath mounted on a piece of decorative iron fencing ties this updated country look together. After. Knowing the new life in store for Karla, Joanna wanted to do something special that reminded Karla to stay positive. 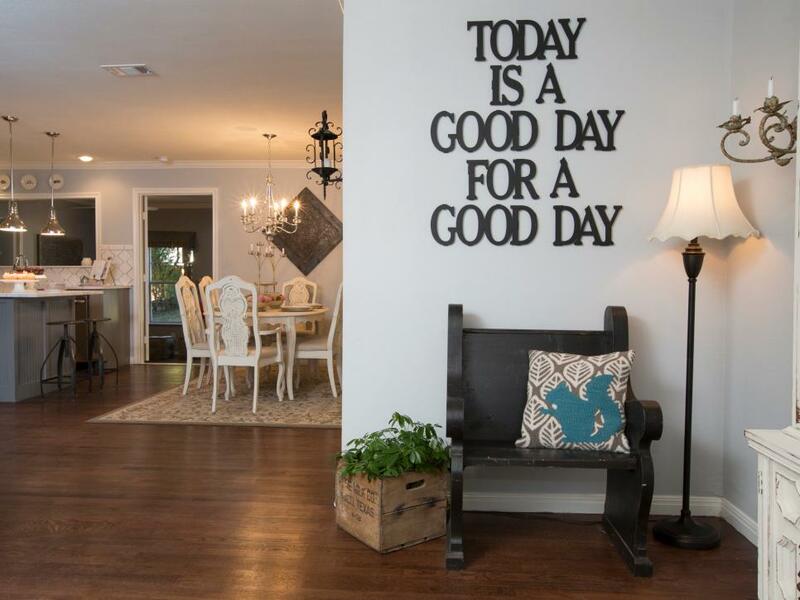 Joanna enlisted the help of her friend to create this custom metal sign displayed in the home's new entryway. After. 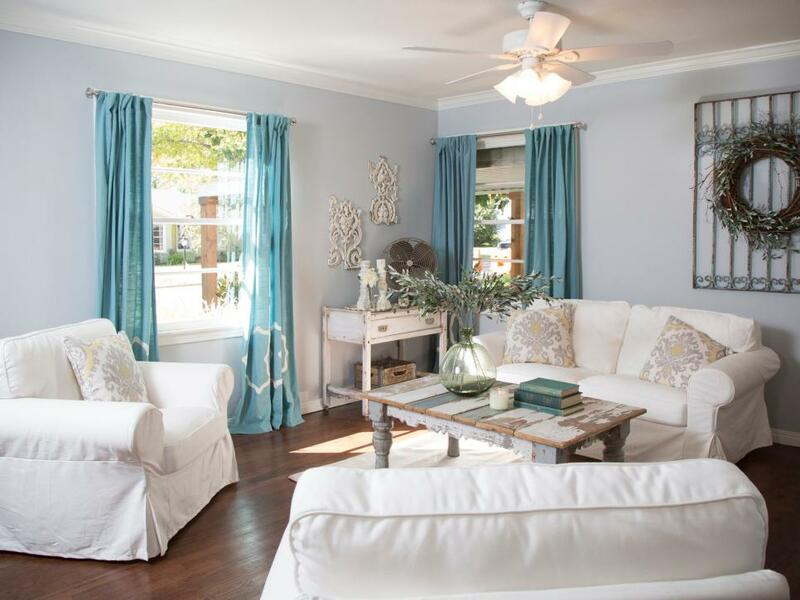 Joanna wanted to accentuate the charm of the home with the furnishings and décor. 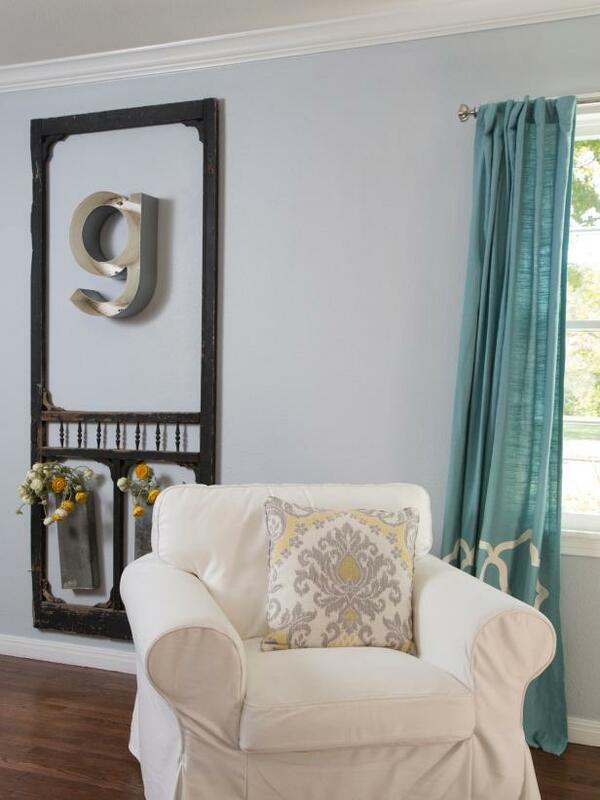 Electric blue window treatments and a personalized metal "g" framed art piece complete the living room. After. 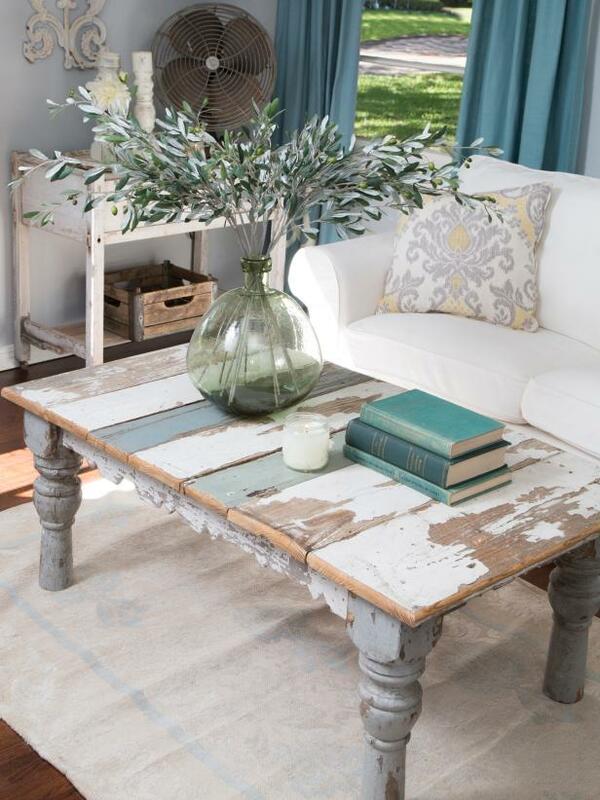 The French country theme of the home is accomplished with pieces such as this coffee table. 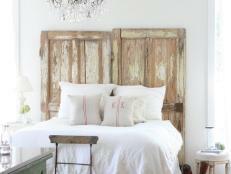 Mixing vintage, well-worn furniture with clean, white slip-covered couches keeps the room sophisticated but casual. 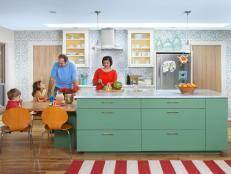 Prior to the renovation, the kitchen was closed off from the dining room with a wrap-around peninsula counter. 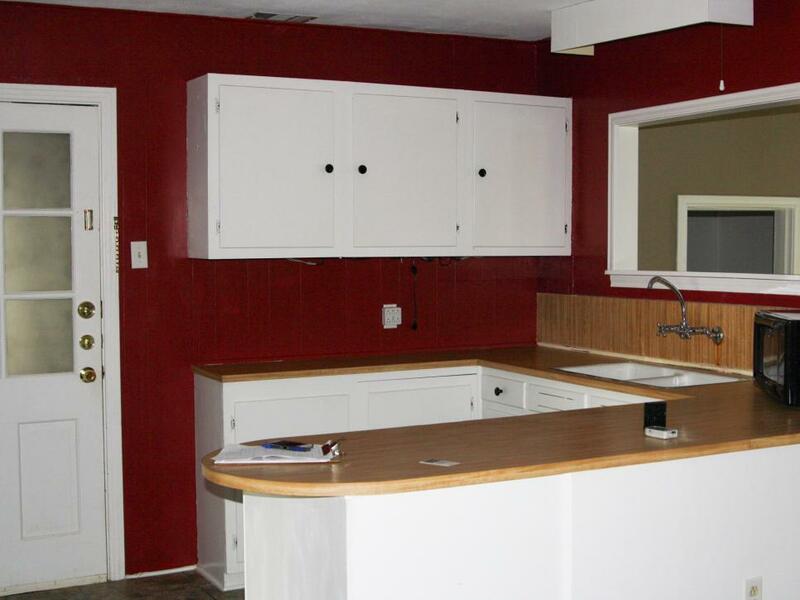 The dark red walls also made the space feel cramped and uninviting. 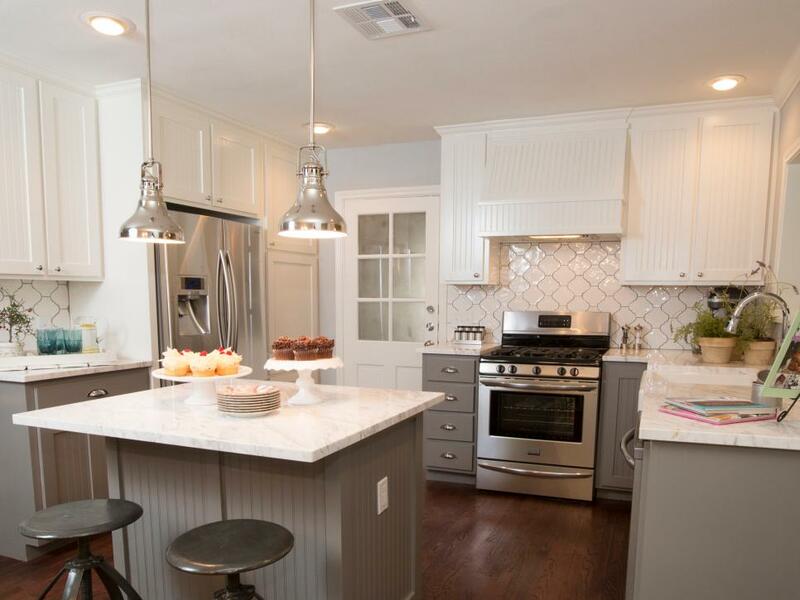 To make the space feel larger, Joanna painted the upper cabinets white and the lower cabinets and island gray. 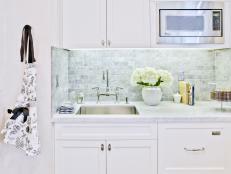 Stainless steel appliances and polished metal lighting were installed giving the kitchen a professional, gourmet look. After. 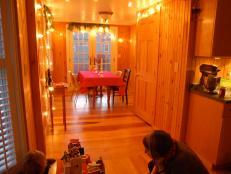 Now the kitchen and dining room blend seamlessly. The clunky peninsula has been replaced with an efficient island that doubles as a breakfast bar. 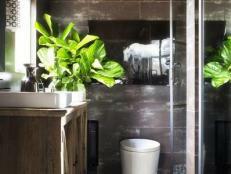 The island defines the two spaces but keeps the room unified. After. "There are a lot of details that we tried to make specific for you," says show host Joanna. 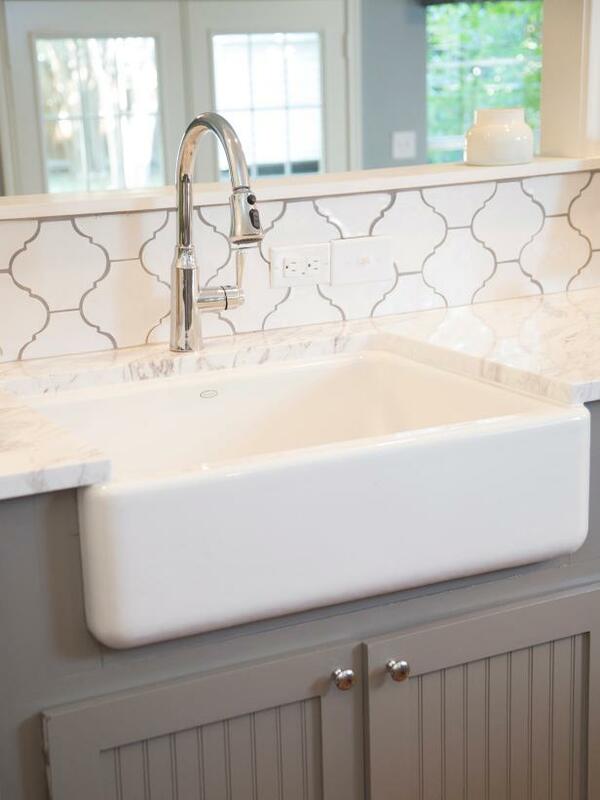 The unique backsplash and oversized white farm sink add to Karla's personal style but also fit perfectly into the French country theme of the rest of the home. A room in the back of the house lacked purpose but had plenty of space. 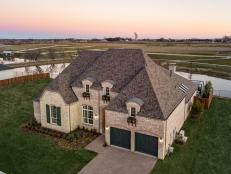 Karla wanted her son, Preston, to have his own area in their new home. 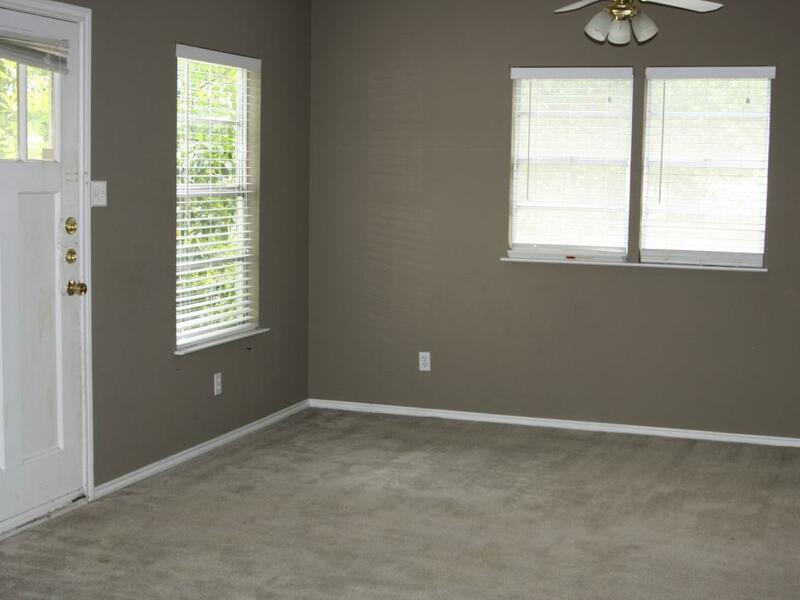 Chip and Joanna thought this would be the perfect room to dedicate to play time. The back room had to serve double duty as Preston's play area and the pathway into the backyard. In order to keep the space sophisticated but also boyish enough to appeal to Preston, the walls are painted a more masculine gray-blue. After. 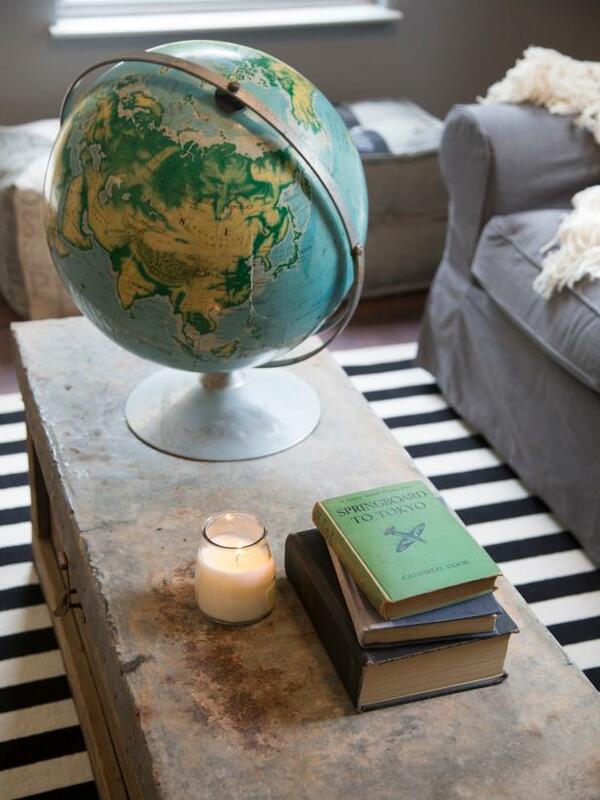 Decorative touches like this globe and the rugby striped rug give the space a sophisticated, boyish flair. The seating's durable fabric and darker color will be perfect for Preston to lounge and play without worrying about wear and tear. After. 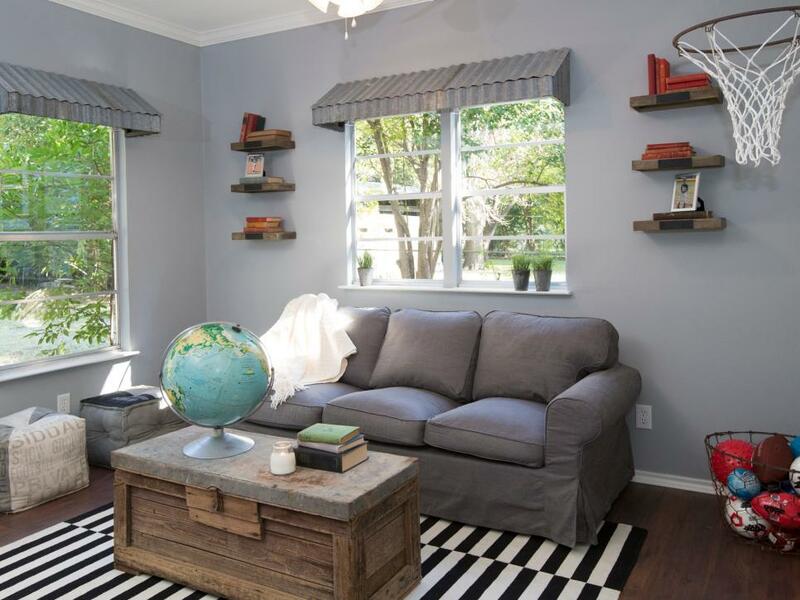 Corrugated metal awnings over the windows bring a masculine element to the boy's space. 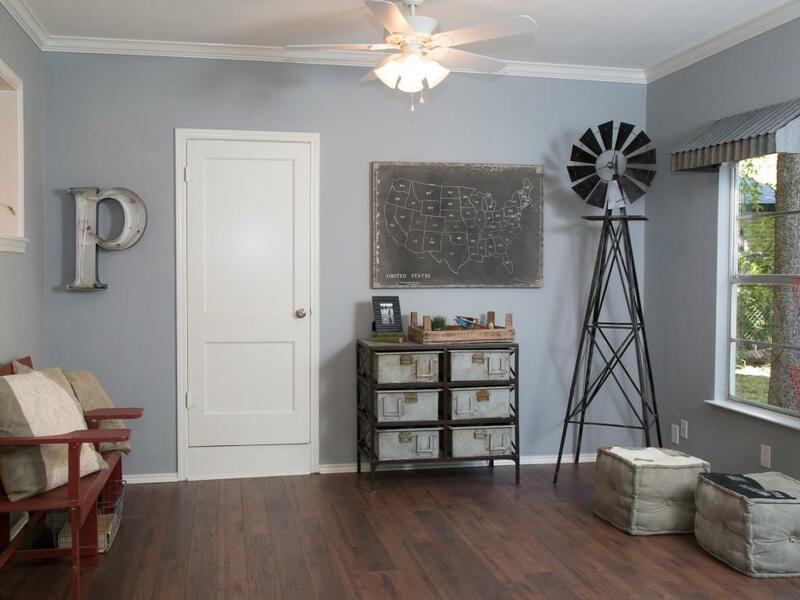 Industrial storage bins, a windmill, an old metal "p" sign, and an aged map add a vintage Americana flair. 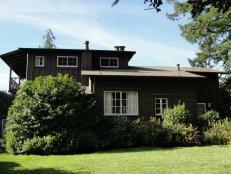 Before renovations, the laundry room had been located in the garage of the home. 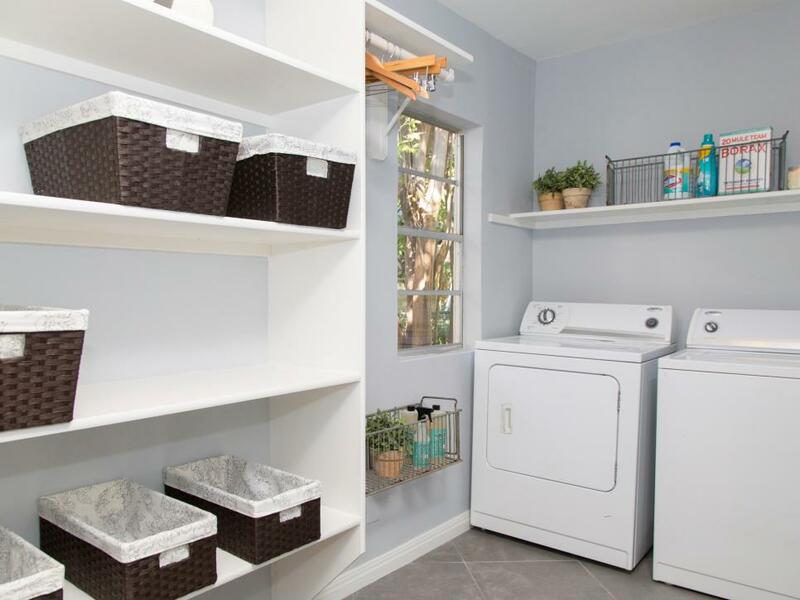 Chip and Joanna utilized the add-on that was in the back of the home to create this value adding laundry area and powder room. 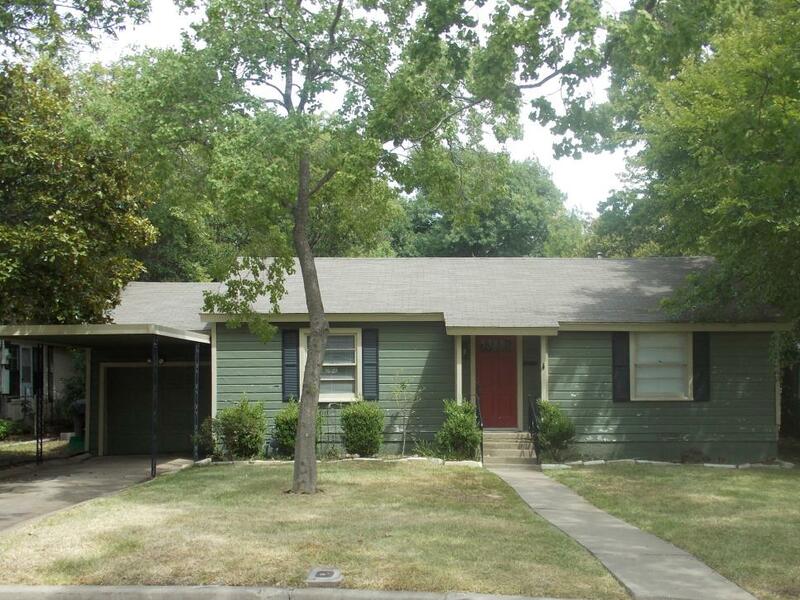 After clearing the overgrowth, the backyard is now an expansive space for Preston to play and for Karla to entertain. Joanna had a custom Magnolia Farms table constructed with a metal top continue the French country look. 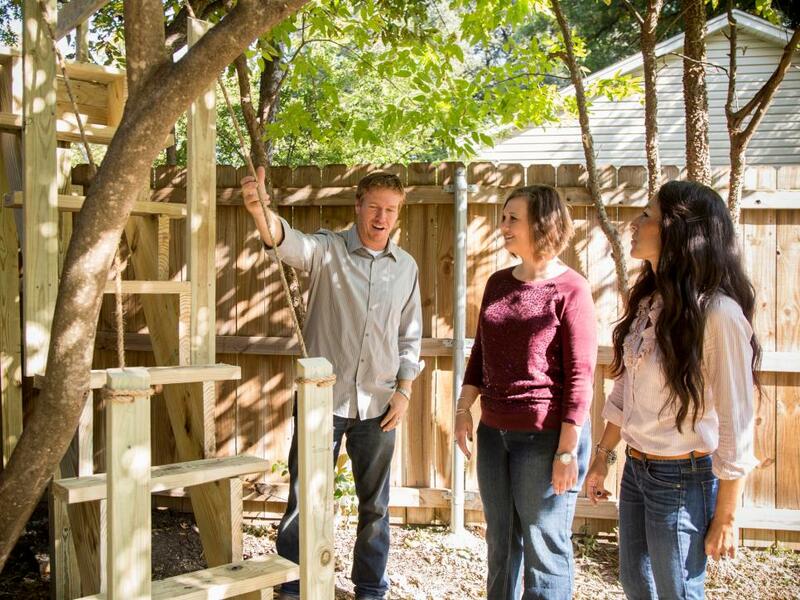 Fixer Upper host, Chip, built this stair ladder for Preston in the backyard so that he could easily climb over the fence and into the adjoining yard of his best friend's house.